The Doogee Y200 is a 5.5″ smartphone is targeted at the youth market. As such, it has an ultra-slim profile with a thickness of just 7.6 mm, and a fast fingerprint sensor that can unlock the phone within 0.15 second. It has an IPS display with a resolution of 720 x 1280. It is powered by the quad-core MediaTek MT6735 processor with the ARM Mali-T720 GPU, and runs on Android 5.1. It has 2 GB of RAM and 32 GB of internal flash storage. It also features an 8 MP rear camera (with a Sony sensor and LED flash), and a 5 MP front camera. However, Doogee quotes both cameras as having a resolution of 13 MP and 8 MP respectively, because they perform software extrapolation to achieve those resolutions (by default). 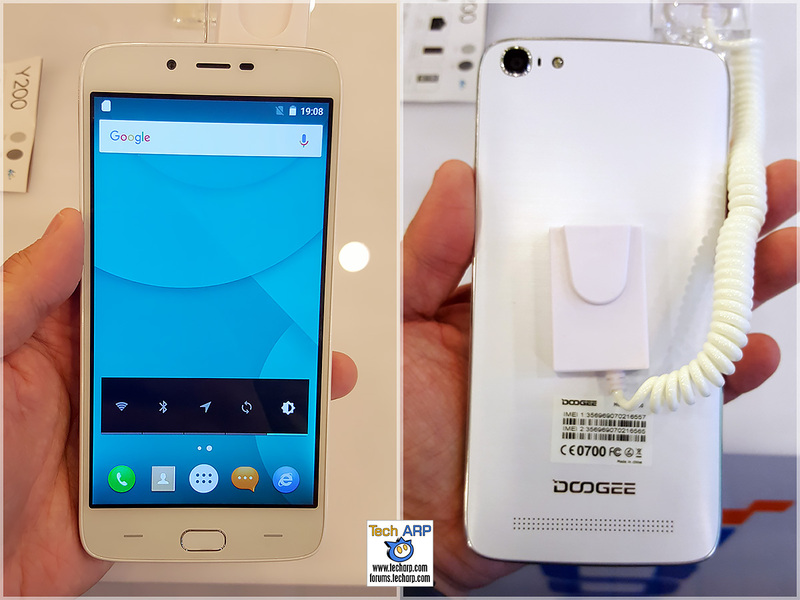 The Doogee Y200 smartphone is available in either White or Black colours, and is now available for sale on GEMFIVE with the retail price of RM 699 / ~US$ 175. This video shows the key features of the Doogee Y200 smartphone, as well as its available RAM and storage capacity. 8 MP main camera (Sony sensor) with software extrapolation to 13 MP. 5 MP front camera with software extrapolation to 8 MP.